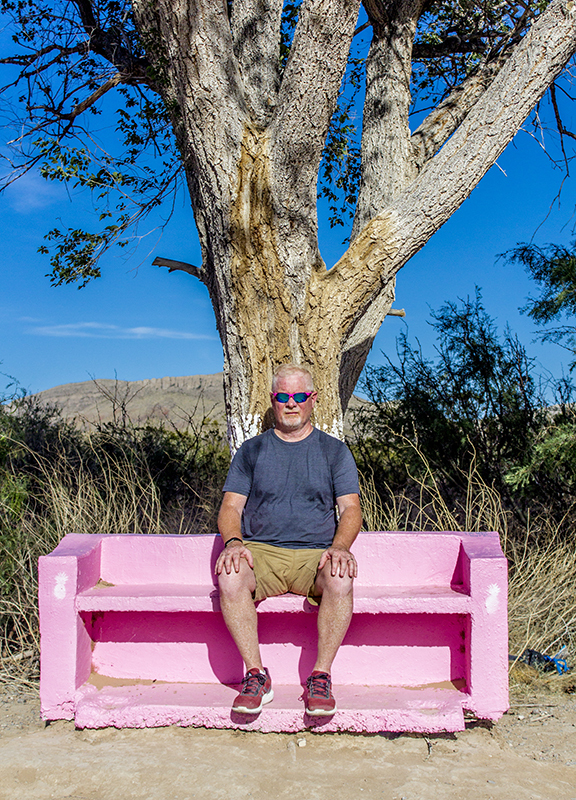 Along the lonely road to Heuco Tanks, we happened upon this pink bench. I was going to say discovered but it is not possible to discover something someone else already knew about or to discover a land already inhabited. If the land is already inhabited, anyone new dropping by is either a visitor or an invader depending upon their disposition. We couldn’t help but stop and take a bunch of photos with this pink bench as the focus.